The baroque also must adhere to the thermal insulation regulation these days. In the spring of 2016, Sollingglas supplied the panes for two sample windows for one of Saxony’s largest church buildings, the Katholische Hofkirche in Dresden, which are based on their historical origins. 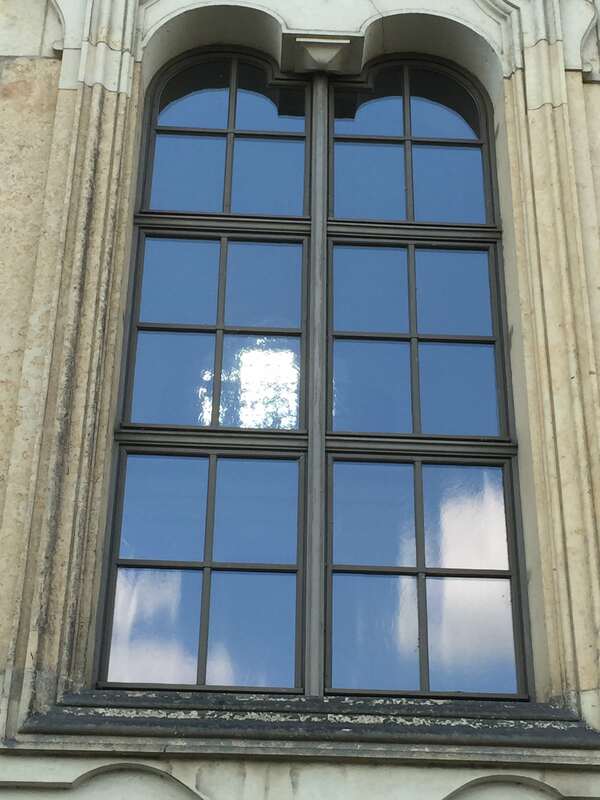 The construction side required an insulating glass with an antique character that had to meet defined safety and thermal insulation requirements. 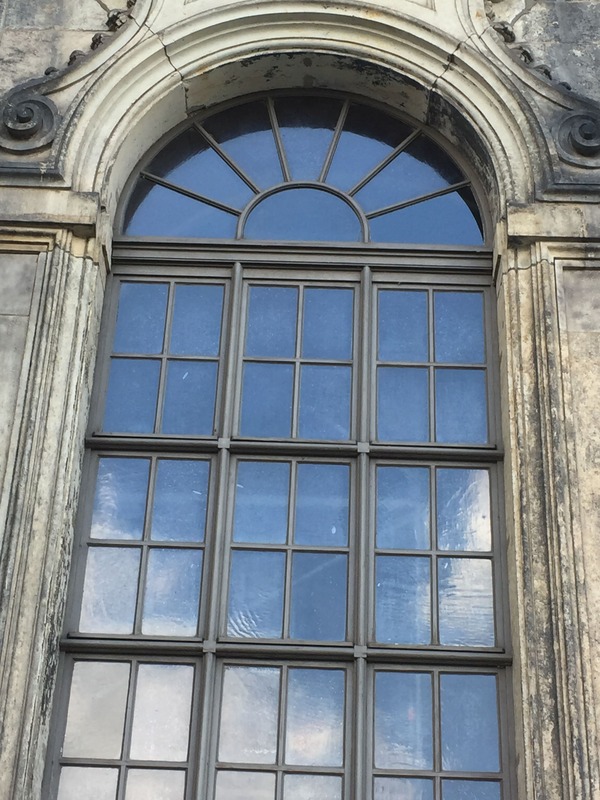 The challenge in the development process was to thermally toughen the hand-blown two-to-three millimeters-thin and precisely cut antique glass, making the glass overally more flexible, temperature-resistant and break-resistant. During the subsequent film lamination with a float glass, the irregular structures of the strongly structured antique glass used had to be compensated. The finished laminated glass was then further processed into insulating glass with a heat protection counter pane, the inside of which is metallized and thus reduces the heat transfer from the inside to the outside. 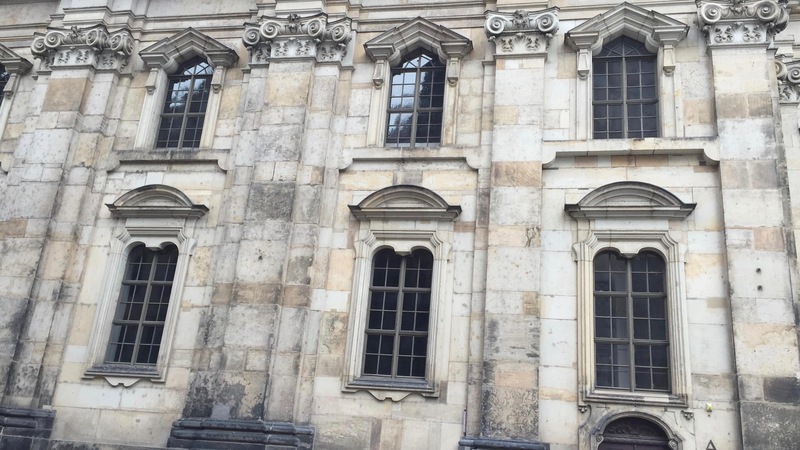 The Catholic Hofkirche in Dresden is the cathedral of the diocese Dresden-Meißen as well as a parish church of Dresden and was built under Elector Friedrich August II of Saxony from 1739 to 1755 in the Baroque style. As a former court church, it is connected to the Residenzschloss by a passage via Chiaverigasse. It stands on the Altstätter banks of the Elbe between Schloss- and Theaterplatz and was built almost simultaneously with the Protestant Frauenkirche, which dominates Neumarkt about 300 metres away. 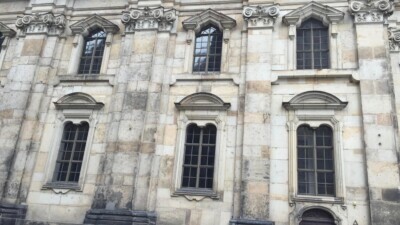 The Catholic Hofkirche is one of the most important Saxon buildings during the reign of Elector Friedrich August II.